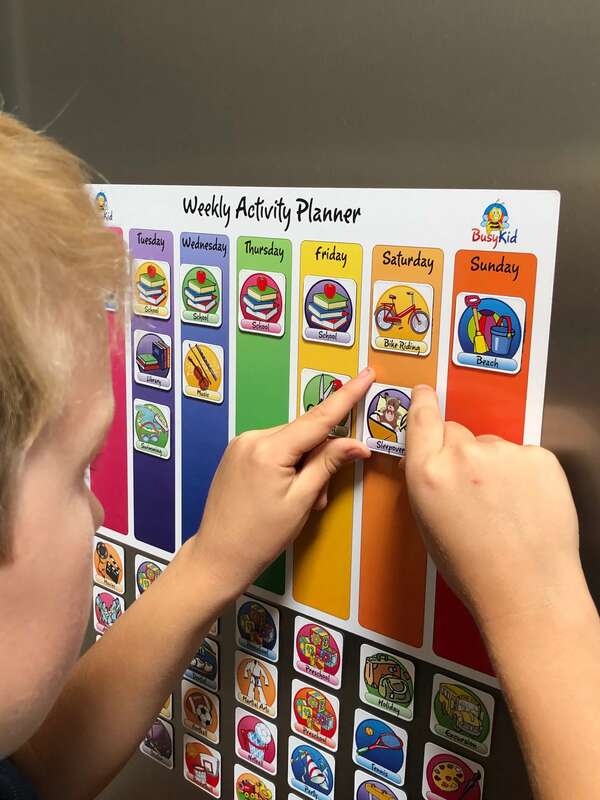 Busy Kid Magnetic Planners are very easy to use. Step 1. Affix the large base magnet to your chosen magnetic surface. Fridges are often a great place to locate them. Step 2. Pop the individual magnets from the packaging. Step 3. Line the magnets underneath the base magnet. Step 4. 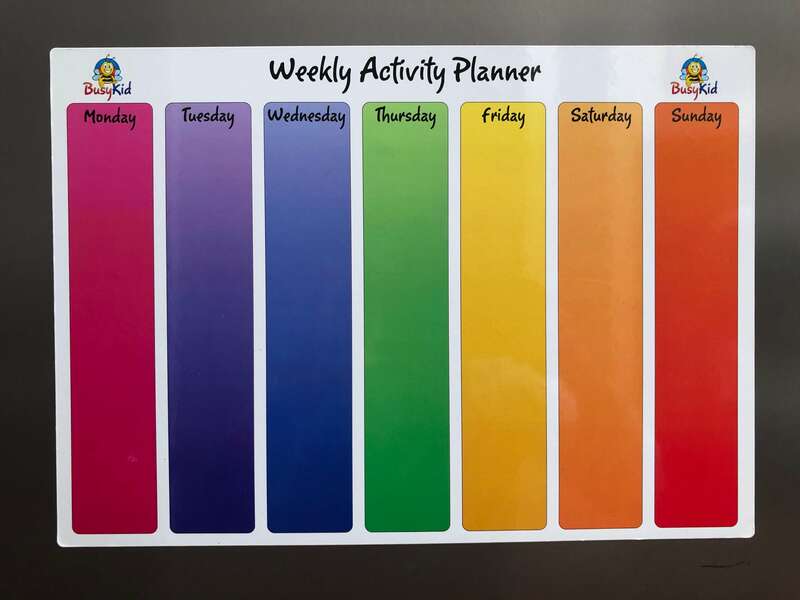 Help your child plan the day or the week ahead! Refresh each day or week! Our planning products affix to any metal surface. 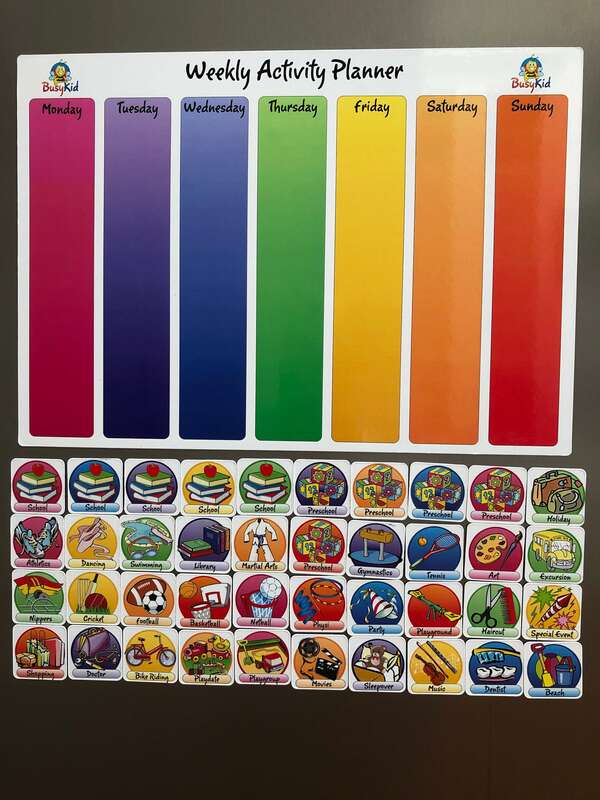 If your fridge holds a regular fridge magnet, our products will work well on your fridge. 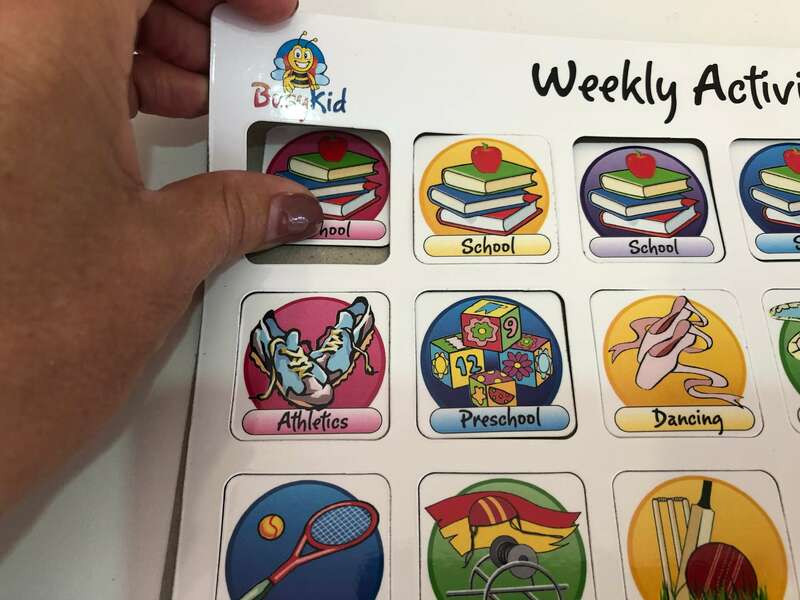 If you would like us to send you a sample magnet before you purchase, email your name and address to: sue@busykid.com.au and we will mail one to you.